and how can it be of use to you? 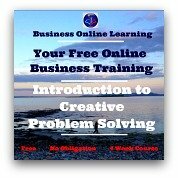 These pages are for you if you are looking to improve your skills in the workplace. The information is particularly relevant to people acting as Project Managers, Quality Managers, and Production Managers or similar areas of Management. In fact, this information is great for anyone who is looking for a systematic approach to completing work. These skills will fast track your career chances! It is the systematic approach to structuring work done, enabling better management of the business. When you develop and define a framework for your processes, transparency is enabled and consequently, Continuous Quality Improvement, as you now have a map of how things are functioning - or not functioning. When the individual processes that exist within that framework are also developed and defined, work done is mapped out and made more manageable. For you as an individual, the exposure you will get here to BPM will definitely lead to polishing your skills resulting in increased confidence in the workplace and with the work you do. A lot of organizations will use this approach as a result of external triggers such as 3rd party regulators from disciplines such as Quality Assurance, Health and Safety, Research and Development, etc. Organizations looking to structure the work done. 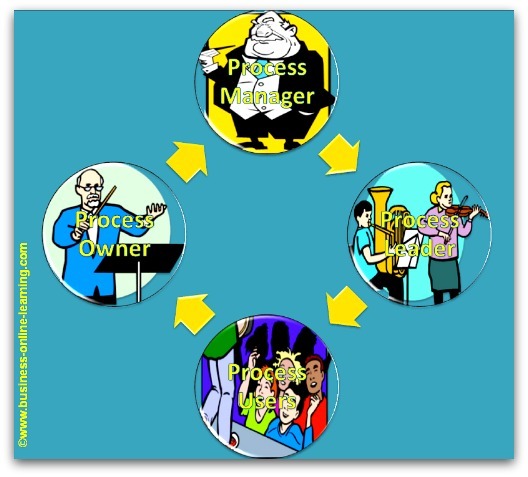 Within a business organization, all people must be responsible for their own area of work and because they are involved in many processes within that area, they are termed “The Process Users”. The management or managers of that area must carry the responsibility for the process at hand and are termed "The Process Owners". They carry the responsibility of ensuring that the process is both effective and efficient. (Doing the right job to meet the targets set). Depending on the size of the area being structured and defined using these techniques, a group of Process Owners may have one "Process Leader" to align the processes. However, in order to succeed, an organization must have a "Business Process Manager". This is the person who ensures that all the strings are pulled together. They will be the coordinator and the focal point in the approach and will ensure all planning, performance, reporting and improvement takes place. This Management approach is a good technique for the private person in that they learn to work in a more clear, concise and structured fashion. Give an overview, as well as details on how the work is to be done, thereby enabling easy training of new personnel.